At eHealth Africa, one of our strategic objectives is to increase access to high-quality eLearning resources for healthcare workers to achieve proficiency in healthcare delivery, management, and leadership. In line with this, eHealth Africa collaborated with the Kano State Primary Health Care Management Board (KSPHCMB) and other implementing partners, to deploy its eLearning solution on a pilot scale to health workers in Kano State. The eLearning platform is web and mobile-enabled and can be accessed by participants through their Kano Connect android phones. Fifty- seven Ward Technical Officers (WTOs) and Health Facility In-charges (HFICs) from facilities across three local government areas of Kano state— Gabasawa, Nassarawa and Fagge LGAs—were selected and trained to utilize the eLearning platform. The aim was to improve the delivery of health services in Kano State by providing health workers with access to texts and audio courses and training modules. After a pilot period of 3 months, the health workers who completed all the modules on the platform were awarded certificates of completion at an award ceremony on November 2, 2018. The ceremony was presided over by the Executive Secretary of Kano State Primary Health Care Management Board (KSPHCMB), Dr. Nasir Mahmoud. During the ceremony, selected participants shared their experiences with the platform and testified that they were better able to provide quality Routine Immunization (RI) services at their respective facilities because of the knowledge they had gained. Following a successful pilot in Kano State, the RI content currently available on the platform is set to be scaled-up to 18 states in Nigeria, with an estimated number of 3000 health workers per state, to participate. Plans are also underway to expand the curriculum to include content on programs such as Cholera, HIV, Malaria, and Maternal and Child health. During the month of August, eHealth Systems Africa in collaboration with THINKMD, FIND and Kano State Primary Health Care Management Board (KSPHCMB) implemented the second phase of the pilot study of the eHealth platform MEDSINC. In the first phase of the pilot, Community Health Workers (CHWs) in 15 health facilities across Kano state had been trained to use the platform and carry out physician like clinical assessments on ill children between the age of 2 months and 5 years of age. At the completion of their training the CHWs received a training certificate during a conferment ceremony. 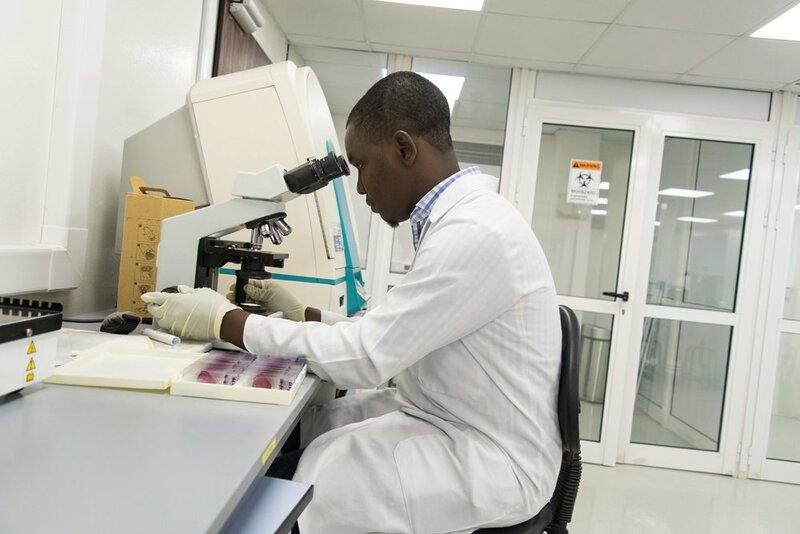 Taking from the success of the first phase, a new version of MEDSINC was developed and combined with malaria rapid diagnostic tests to guide CHWs through clinical assessment, malaria diagnosis and management. This phase of the pilot was implemented in 5 health facilities across five metropolitan Local Government Areas. 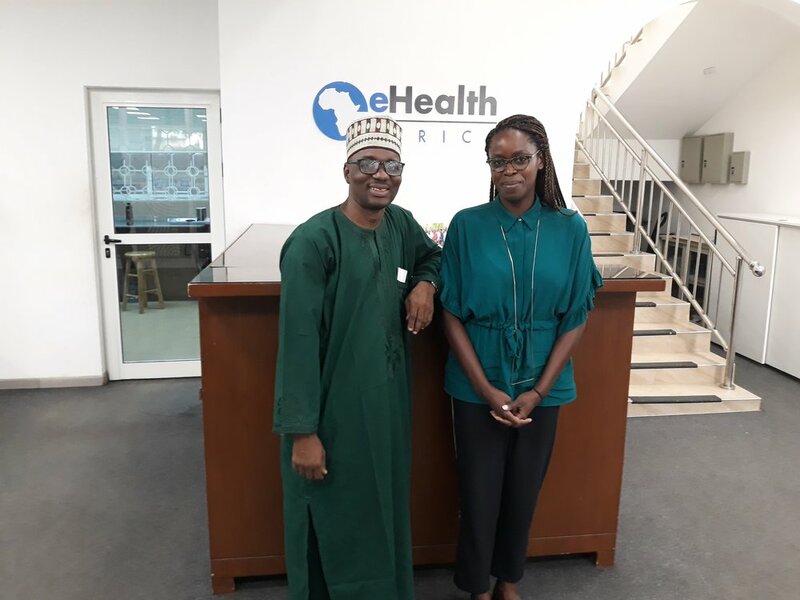 Last week, FIND representative, Dr. Karell Pellé, visited eHealth Systems Africa and met with the Executive Secretary of Kano State Primary Health Care Management Board (KSPHCMB), Dr. Nasir Mahmoud, to discuss ongoing plans for scaling up the use of mHealth tools to improve clinical diagnosis of childhood illnesses. She also visited some of the pilot health facilities in Kano State to interact with the CHWs and observe first-hand how quality of care and health delivery had been improved in those facilities. eHealth Africa, THINKMD and Kano State Primary Health Care Management Board (KSPHCMB) collaborated to implement a digital platform called MEDSINC among Community Health Workers (CHWs) in 5 metropolitan Local Government Areas (LGAs). Covering 15 Health facilities, MEDSINC supports the management of illnesses under the Integrated Management of Childhood Illnesses (IMCI) and empowered CHWs with skills to carry out physician-like clinical assessments on sick children within 2 months – 5 yrs of age. The close out meeting which held July 19, 2018 was presided over by the Executive Secretary, KSPHCMB, Dr. Nasir Mahmoud and with the support of Juliet Odogwu, Megan McLaughlin and Dr. Aisha Giwa, he presented certificates of completion to the CHWs. The ceremony consolidated our collaborative efforts in empowering CHWs with training and on-the-job support to improve the quality of care provided at primary health care level in the state. The pilot study was completed in 2 months and involved a 6-weeks implementation period (June 4 – July 13) and 3 stages of data collection – Pre, Mid and Post-Implementation IMCI observational data collection. Over the implementation period, CHWs used the platform to assess children in the health facilities. A total of 2,239 children were assessed using MEDSINC and a 41% increase in the number of IMCI observational data points collected at baseline (pre-implementation) was observed after mid-implementation data collection. This indicated an increase in the quality of assessments provided by the CHWs using MEDSINC. The feedback from the CHWs throughout the implementation period was positive and contributed to the ongoing improvements on the MEDSINC platform. Kano Connect is a communication and information sharing platform developed by eHealth Africa, with funding from Bill and Melinda Gates Foundation in 2014. It features electronic management tools such as comprehensive directories of all the health facilities and health workers across all levels in Kano State. Using the platform, health workers can submit and review reports on routine immunization from their mobile phones or through a dashboard. Health workers on the Kano Connect platform can access the contact details of any staff and communicate for free within a closed user group resulting in prompt and quality reporting, improved visibility and effective accountability. In 2016, eHA officially handed over the Kano connect project to the Kano State Primary Health Care Management Board. However, we continue to provide support and guidance in line with our vision. Prior to the handover, reporting rates through the platform were at an average of 25%. After the handover, reporting rates increased to an average of 95%. This demonstrates the importance of working hand in hand with the states which we work in to ensure the sustainability of our projects and our impact. 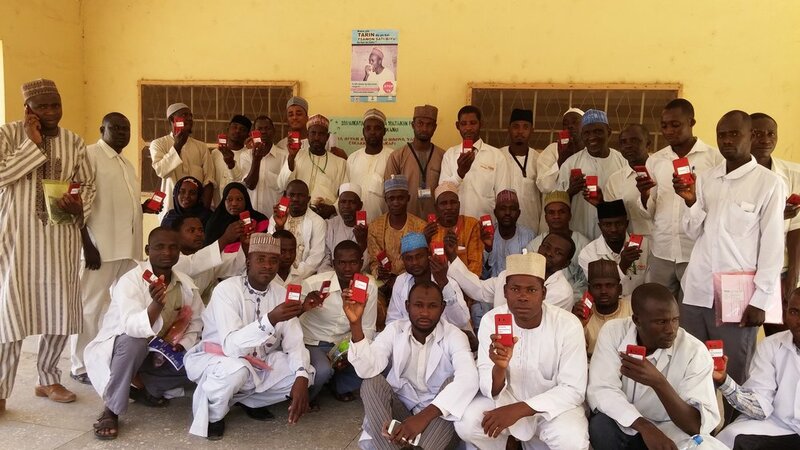 In the course of the Kano Connect project, eHA conducted a total of 21 trainings and workshops for over 1400 health workers across all administrative levels of the Kano state health system. 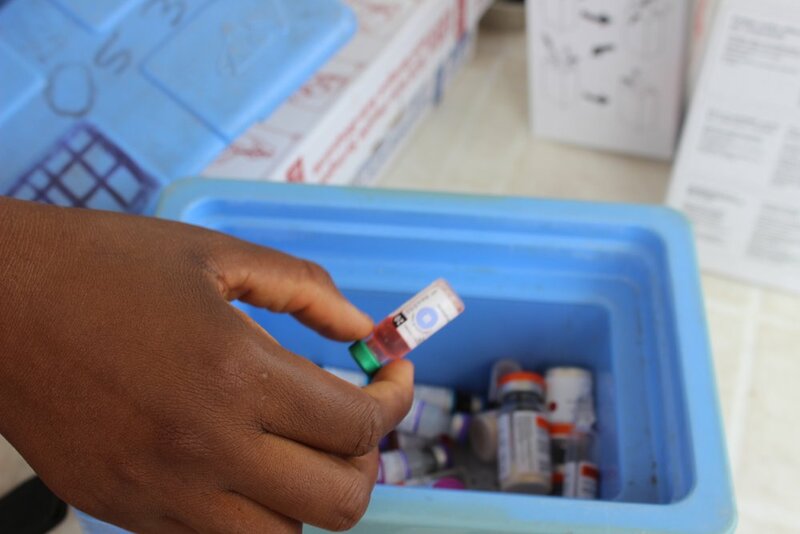 The health workers worked on diverse thematic areas such as Maternal and Child Health, Nutrition, Pharmaceutical Services, Epidemiology and Disease Control and Routine Immunization. They were trained on how to use an android phone, send Routine Immunization supportive supervision reports using the Open Data Kit (ODK) e-forms, how to use the dashboard for decision making, reporting through the LoMIS Stock applications, using the LoMIS Stock dashboard for decision making ensuring that all the stakeholders understood the platform. Presently, Kano Connect is piloting its e- learning mobile application and dashboard in three local government areas: Fagge, Nassarawa and Gabasawa local government areas in Kano State. Kano Connect eLearning provides access to learning materials and resources that health workers can access on their mobile devices. Once again, eHealth Africa is partnering with Kano State to ensure that that knowledge gaps are identified and that health workers can gain skills and knowledge for improved health delivery.